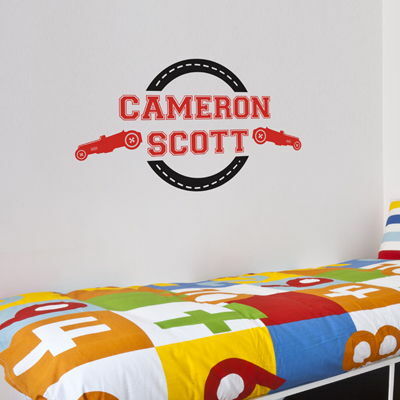 This awesome Car Racer monogram is personalized with your race fan's name! Available in TWO names of your choice! Our wall decals are ideal for offices, living rooms, entryways, classrooms, even your car or glass shower doors! Layout as shown: 40 inches wide by 21 inches high. Cars: 10.5 inches wide by 3 inches high. Street: 18 inches wide by 5 inches high each. 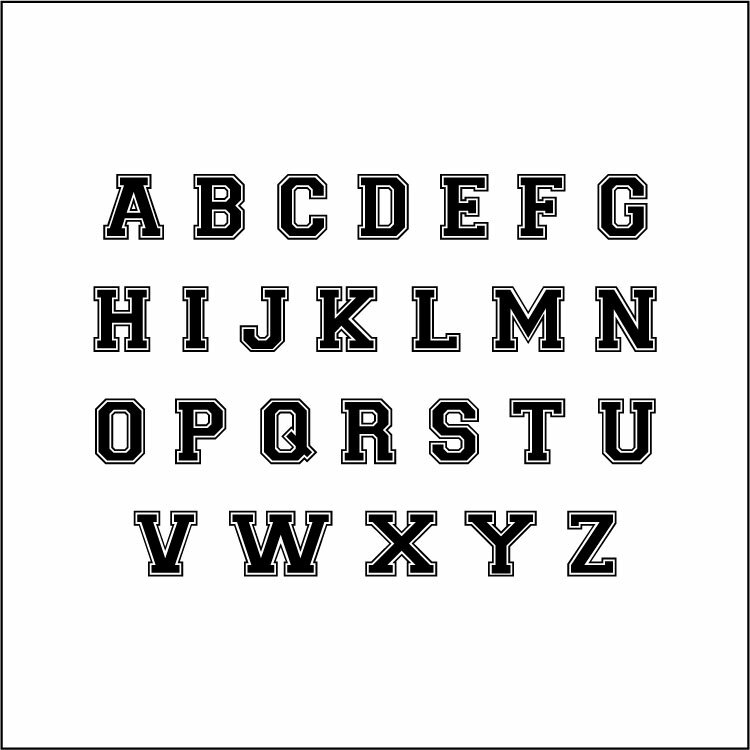 Names will each be 3.5 inches high and the overall width will not exceed 27 inches. Colors shown - Dark Brown Matte and Cardinal Red. Available in any TWO color of your choice! 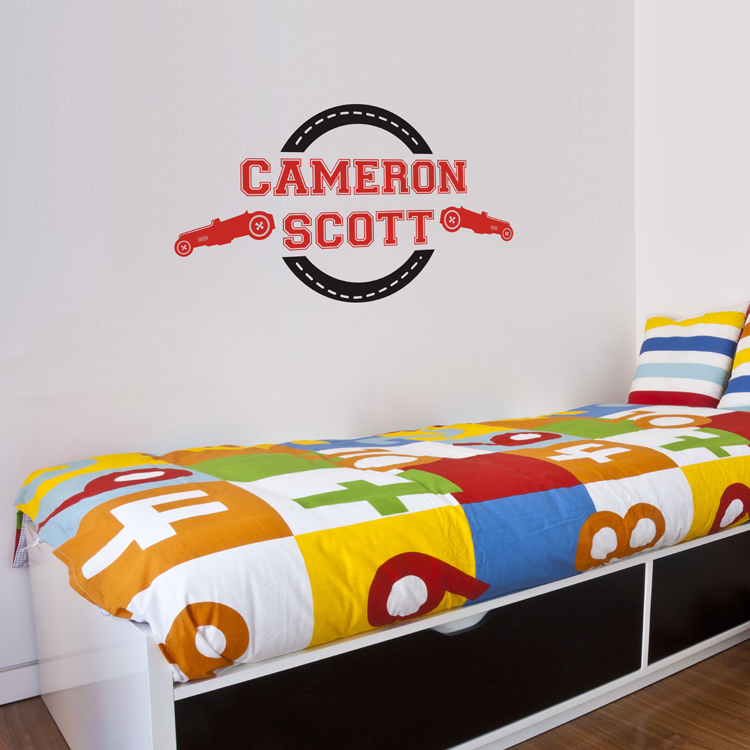 This monogram wall decal comes in sections for easier application. Names will come in two lines as shown. Overall dimensions will depend on how the decals are installed. Just wanted to thank you for the wonderfully made decal! Will definitely reach out to your company again in the future.